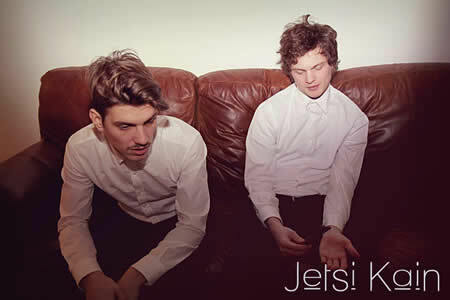 Indie New Wave pop duo Jetsi Kain offer their first single I'm In Control as a free download. Based in Copenhagen they are part of the pop boom that is currently happening in Denmark. The Asteroids Galaxy Tour blew up and cult favorites Snake & Jet's Amazing Bullit Band will release their sophomore album soon. Jetsi Kain are releasing their Caspar Hesselhager and Aske Bode produced album later this year. I'm In Control has the vocal gloss of A-ha mixed with hints of the keyboard sound of Madness. Nothing special, but catchy as Hell - it has Summer hit written all over it.